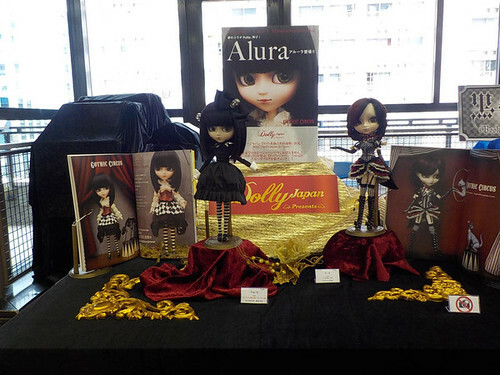 The second issue of Dolly Japan put a spotlight on European Pullip collectors, photos by British Pullip collector Laura/Pure Embers were featured as a part of the article. 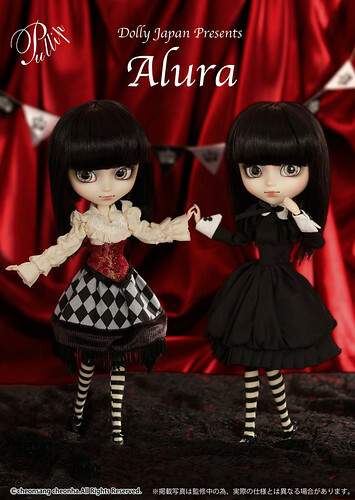 Two of Laura’s dolls that were featured would later become Pullip releases Laura and Alura. 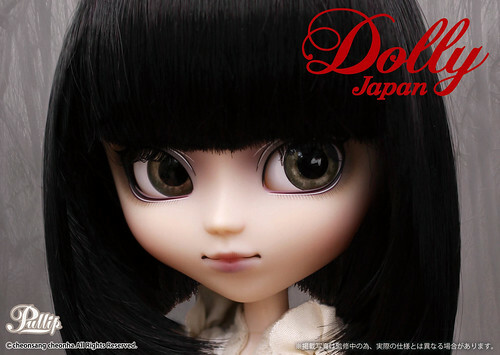 Laura received a regular release in early 2015 and Alura was later announced as a Dolly Japan magazine exclusive in the fourth issue of Dolly Japan, she was available for purchase via the Hobby Fan website. 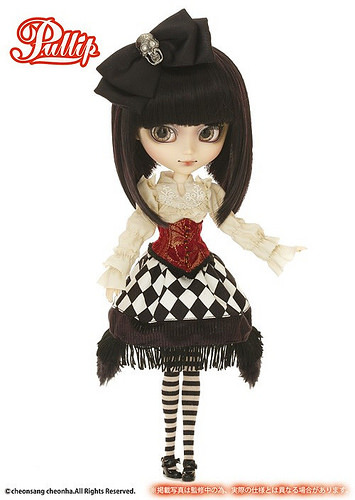 JPGroove had a limited number of Pullip Alura available for their website for US/international Pullip collectors. 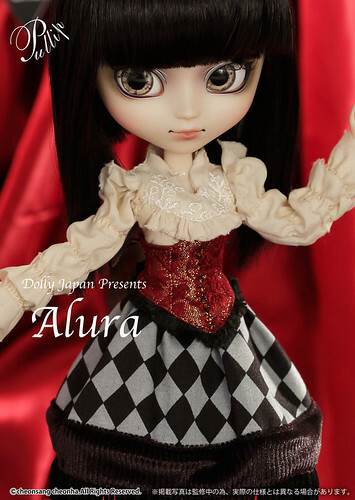 Like Pullip Laura, Pullip Alura was styled by Laura/Pure Embers, her face up is by Mitsubachi@babybee and her clothing by Momolita. Release: Dolly Japan Magazine Exclusive in Japan, JPGroove also had a limited number available for purchase via their website. 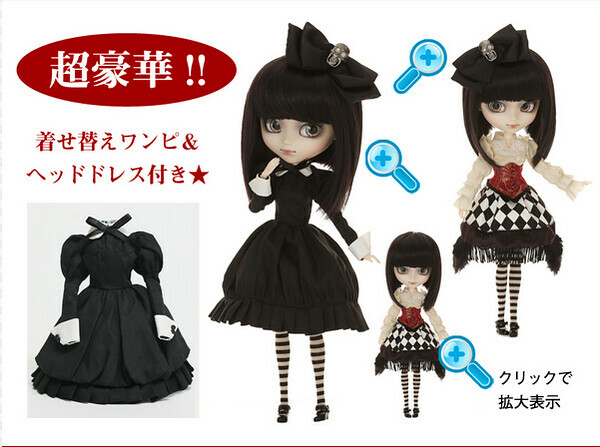 An unknown amount of dolls was produced, she did not come with a numbered certificate. Feel Like So: Training the animals is my favorite part of our Gothic Circus….Watching them amaze the crowd with our tricks makes my heart sing…. Feel Like So. 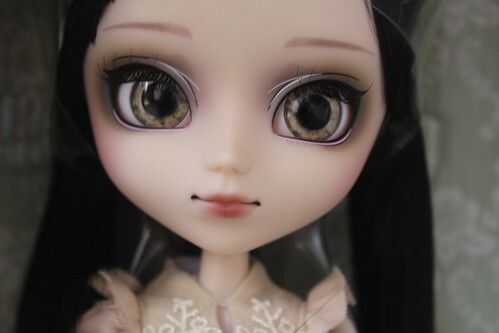 Eyes: Premium, eyes are pale beige with greenish brown specks. Wig: Mixed, predominately black with purple mixed. 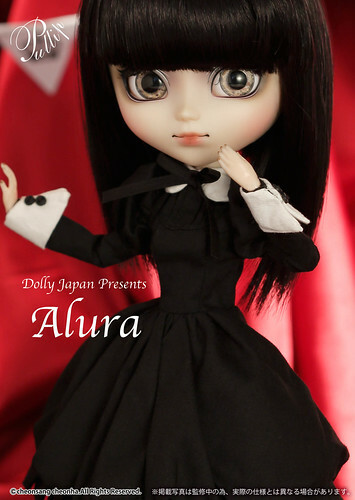 Stock: Alura comes with blouse, skirt, corset, petticoat, tights, shoes, maid dress (same as Pullip Stica’s) and a large bow with a skull on it. Special notes: She has gold colored nail polish on her nails. 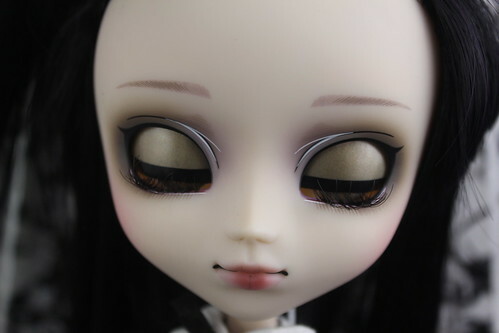 Known Issues: Uneven hair cut, “stuck” eye mechanism. Care should be taken when handling the barrette as the skull can come loose. 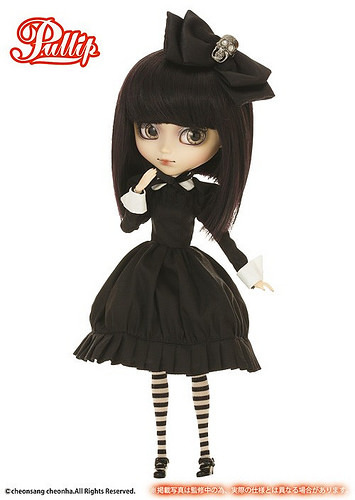 Similar Doll Recommendations: Pullips Seila, Laura and Kuhn.